to see where the road would take them. All are members of the Palmetto Vocal Project. In November of 2015, INFINITY won Second Place in their district quartet competition and was also voted the Most Entertaining quartet in the contest by the audience. 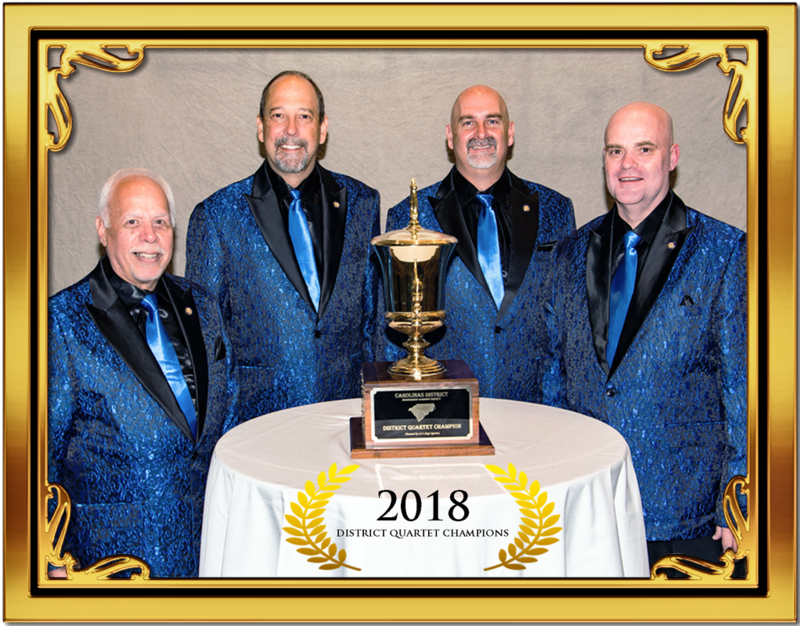 And in November of 2018, INFINITY was crowned the Carolinas District Quartet Champions! Members of the quartet are: Lewis Law–Lead, Tom Nawrocki-Bass, Kevin Gillett-Tenor and Mikey Mancuso-Baritone.